Computer users have a significant impact on the security of their computer and personal information as a result of the actions they perform (or do not perform). Helping the average user of computers, or more broadly information technology, make sound security decisions, Computer Security Literacy: Staying Safe in a Digital World focuses on practical security topics that users are likely to encounter on a regular basis. Written for nontechnical readers, the book provides context to routine computing tasks so that readers better understand the function and impact of security in everyday life. 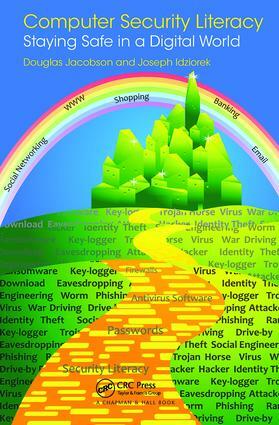 The authors offer practical computer security knowledge on a range of topics, including social engineering, email, and online shopping, and present best practices pertaining to passwords, wireless networks, and suspicious emails. They also explain how security mechanisms, such as antivirus software and firewalls, protect against the threats of hackers and malware. While information technology has become interwoven into almost every aspect of daily life, many computer users do not have practical computer security knowledge. This hands-on, in-depth guide helps anyone interested in information technology to better understand the practical aspects of computer security and successfully navigate the dangers of the digital world.